Thanks to all who had the idea of organizing all of this. You are an amazing group of shipmates. I Joined the Navy in Dothan, AL, then Great Lakes Boot Camp then Polaris Electronics school in Dam Neck, VA. After deciding I did not want to be in a sub for six years, I was transferred to the fleet. They put me in the Boatswain's mate division but I met John Janney (FTG2) and he encouraged me to apply for the FTG3 test. I did and eventually made FTG2. James Fynan was an Electrical Engineer but did not want to be an officer so I was lucky enough to have as a mentor. He was a brilliant engineer and thanks to him I excelled in my career. David or James ( memory problems on him) Poulliot was also another FTG, that boarded with James but only served a few months aboard. Last I heard he was in MA and James Fynan was in FL somewhere. I talked to James Buckler a few years ago and found his Juno email addr. He had a son in LA working with a film crew. Jello Banditto's - you know who you are!! Who did the crime and who got to go see the Capt. The Fantail Fan Room marijuana party. Who were the attendtees? One worked for me, until he went to the brig. Personnel office - why did the chief throw my file at me and threatened me not to come bother him again. Gitmo gunmount exercises - shooting the wire being pulled by airplanes. Now that is some great PMS ( preventive maintenance system) that allowed system to track the thin cable and literally shoot the socks off of it. Polaris Electronics school - Dam Neck, Va.- If it wasn't for this school I would never have met my shipmates. Thanks DAM NECK!! ...and I got out of the 6 years of sub duty and went back to college to earn an Electrical Engineering Degree from Auburn University. The FTG test - again thanks to Dam Neck and John Janney that I passed the first time and made FTG2 in less than 2 years. This really sealed my fate as to the direction I would later take in my . Myron Carter added a comment on his Profile. New comment added. Myron Carter has a birthday today. Myron Carter added a comment on his Profile. 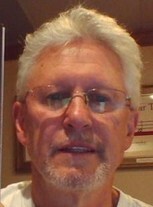 Myron Carter updated his profile. View. Myron Carter posted a message. Welcome aboard Herstel! It has been too long since we were in Bremerton. How fast time has gone. Look forward to visiting with you in Washington. I hope you can make it. Myron Carter changed his profile picture. Myron Carter changed his "Now" picture. Myron on the Left and my twin brother on the right, at a Falcons game in Atlanta. Milton and his wife live in Tallahassee, FL.